This new residential building boasts desirable location in Vitosha neighborhood near the mountain. 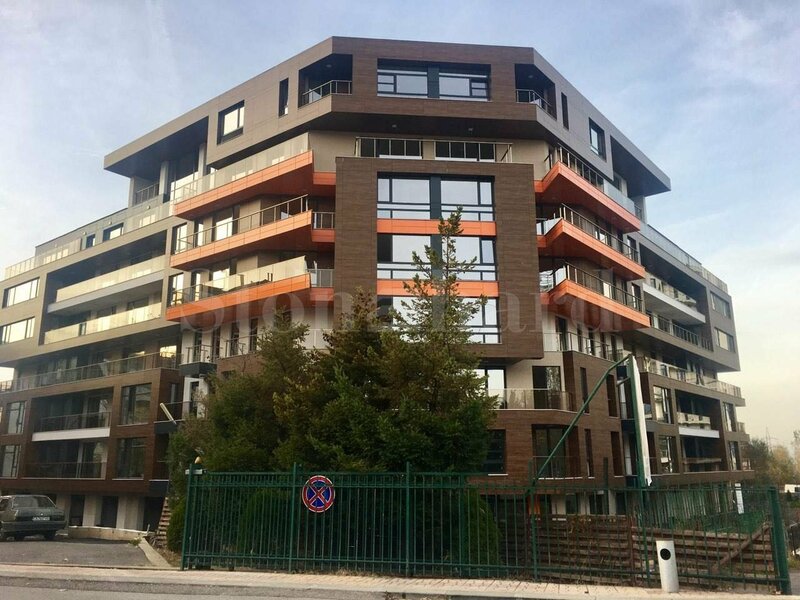 The location is characterized by quick access to the city center, Vitosha mountain, the Ring road, supermarkets, restaurants, elite schools and kindergartens. The complex is gated with secure and convenient living environment, with greenery and fresh air. The property offers magnificent mountain views. The six-storey building offers 68 apartments of different sizes (one-, two-, three-bedroom apartments with functional layout), 61 garages and 2 parking spaces. Only high quality construction materials and technologies have been used in the construction. The luxury residential building is expected to be completed in 2018. The apartments will offer luxury and tranquility, available for sale with unfinished interior, local gas heating, modern common parts and ventilated curtain wall. The developer has various successful projects - completed quality residential, industrial and office buildings. All apartments in the buildings are offered for sale unfurnished. The prices of the "Standard Equipment" package vary according to the type and size of the apartment. Vitosha quarter is characterized by quick access to the downtown area via Simeonovsko shosse Blvd. and the Ring Road. Nearby are set the complexes Vertu, Mountain Dream, Maxi, the Sofia Zoo, Loven Park, ski lift Simeonovo, shopping center Ring Mall, IKEA store, Fantastico and Kaufland supermarkets, bus stops, the embassies of Kuwait, Indonesia, Afghanistan and Finland, French Lyceum "Victor Hugo." The area offer its residents fresh air, greenery, beautiful panoramic views and peaceful living environment. Each of the apartments in the building can be reserved immediately with a deposit payable by credit card or bank transfer. The deposit will be reserved for the period until the preliminary contract is signed. • The rest of the amount can be paid with flexible payment schemes according to clients' budget. For further information, please contact the responsible agent.